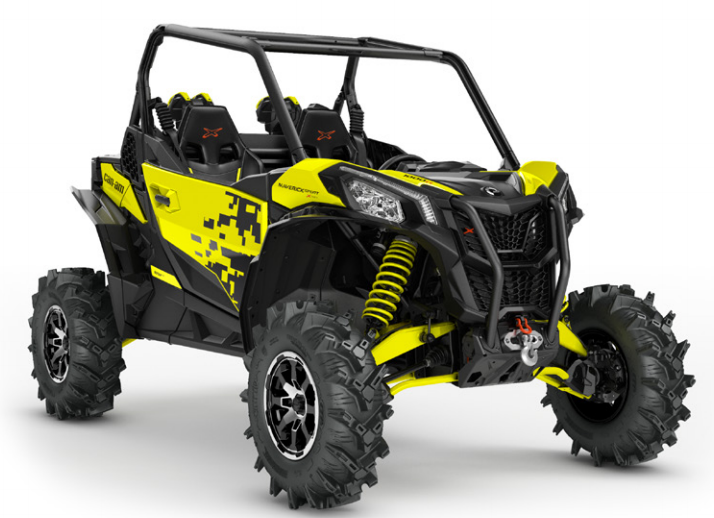 2019 Can-Am Maverick Sport Xmr - New package for mud riders. New model for mud riders. 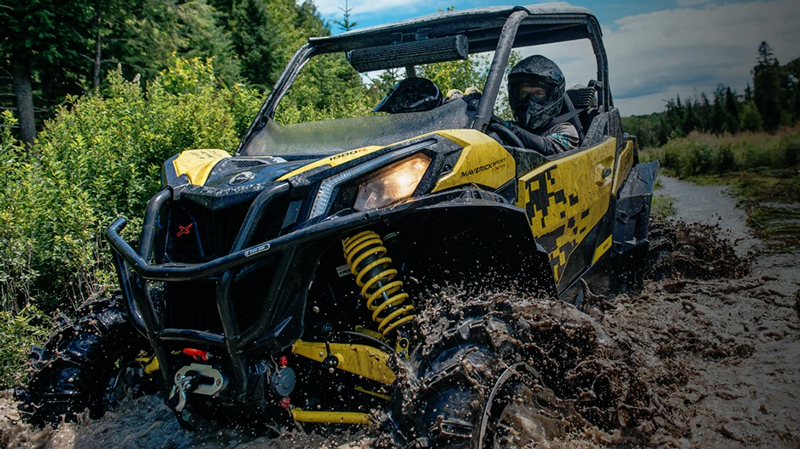 Meet the 2019 Can-Am Maverick Sport Xmr. Mud riders get their own model, just like rock crawlers who got the Sport Xrc. Arched lower control arms front and rear for better clearance and less change of hanging up on debris. High mounted engine air intake and CVT air intakes, along with exhaust mounting to allow operation in deeper water. 14 in. cast-aluminum wheels with 30 in. ITP Cryptid tires with deep lugs for better mud grip. 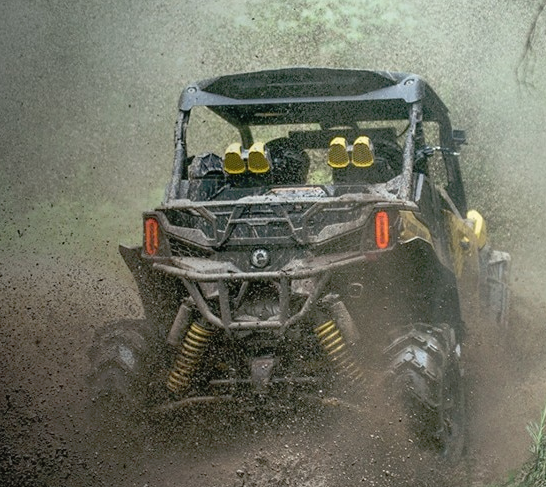 Locking front differential with electronically-controlled automatic modes - including a mode just for mud riding. 2WD / 4WD with front diff. lock / 4WD MUD / 4WD TRAIL. 14.75 inch front and rear wheel travel. FOX 2.5 PODIUM Piggyback shocks with compression adjustment. 4,500 lb. winch with synthetic cable and front tow hook. Fender flare extensions for extra protection. Special package seats and decals. 100 hp Rotax v-twin engine - liquid cooled and electronic fuel injection. Throttle by wire system called intelligent throttle control (iTC). Electric assist variable speed power steering (DPS) with tilt adjustable steering wheel. 90.6 inch wheelbase with short overhang at front and rear for better clearance. Digital instrument display with bright all weather visibility. High capacity 650W magneto with extra electrical power for accessories. 300 pound cargo box capacity. Integrated front steel bumper, half doors, injected UHMW full skid plates. Rear facing engine air intake and transmission vent snorkels. High ground clearance and arched control arms for less chance of hang ups. Integrated front bumper, winch with tow hook, and special mud tires. Special snorkel and exhaust mounting. 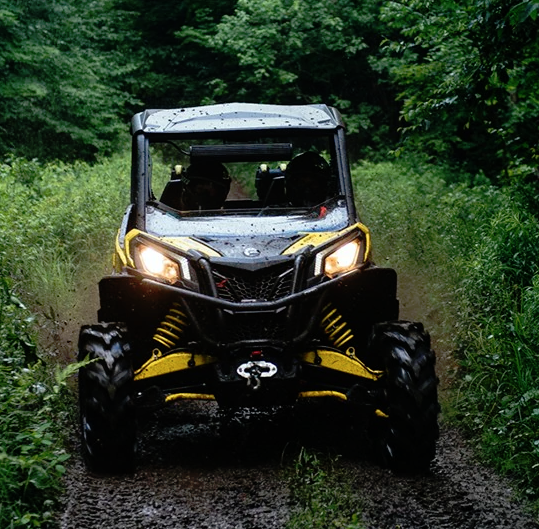 Conclusion - If mud riding or trail riding in swampy areas is your thing, The Maverick Sport Xmr may be just what you're looking for. $20,999 MSRP base price.